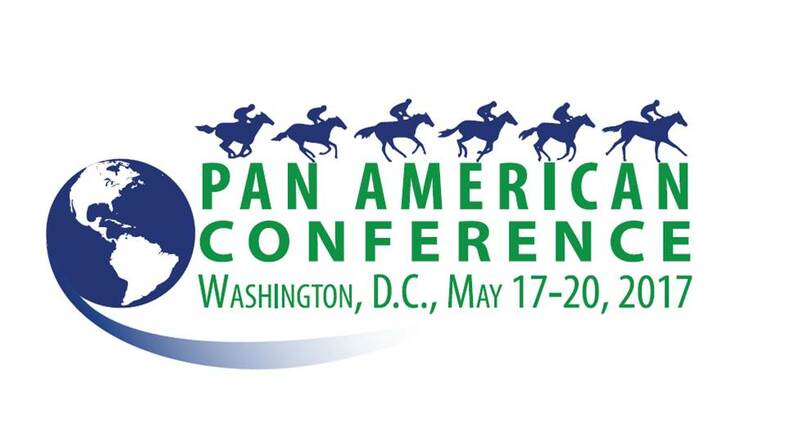 Attendees may pick up their conference credentials starting at 9:00 a.m. through 7:00 p.m. Wednesday, May 17th, at the Grand Hyatt Washington, one level down from the lobby in Penn Quarter Room A off the Grand Foyer. Join us for cocktails and hors d'oeuvres as we welcome conference attendees and their guests. Buses depart Hyatt Regency for Grand Hyatt at 4:30 p.m. and return at 7:00 p.m. The Stronach Group invites all conference attendees and guests to enjoy an evening celebrating the 142nd running of the Preakness Stakes. View the amazing exhibits at the Museum, including the Hope Diamond, while enjoying the delicious ingenuity of The Catering Company of Washington mingling with guests from Pimlico and those connections in the Preakness Stakes. Buses depart from Grand Hyatt promptly at 6:15 p.m. and return at 10:00 p.m. Buses depart from Hyatt Regency promptly at 6:15 p.m. and return at 10:00 p.m. The Official Gala Dinner of the Pan American Conference presented by Longines, featuring the Longines Ladies' Awards. Guest will enjoy cocktails and a seated dinner created by Executive Chef Xavier Deshayes. Buses depart Grand Hyatt promptly at 7:15 p.m. and return at 11:00 p.m. Buses depart Hyatt Regency promptly at 7:15 p.m. and return at 11:00 p.m. Guests will enjoy an open bar and buffet lunch, compliments of The Stronach Group, while watching the races live and on closed-circuit television in the Jockey Club Dining Room, located in the main clubhouse building. Buses depart Grand Hyatt promptly at 10:00 a.m. and depart the race course at 7:00 p.m. Buses depart Hyatt Regency promptly at 10:00 a.m. and depart the race course at 7:00 p.m.